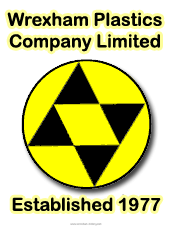 Messrs. Crane and Sons, Pianoforte Manufacturers and Importers, were established in Liverpool, as far back as the year 1850, and held a position of the highest status in commercial circles. They were long regarded as the largest dealers in musical instruments in the North of England, having branches all over the North. 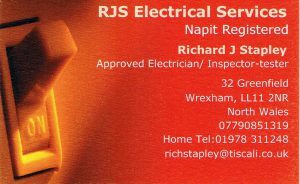 The Wrexham branch was established early in 1891. An advert in the Wrexham Weekly Advertiser of Saturday, 28th March 1891 announced: “Crane & Sons, Pianoforte Manufacturers, Liverpool, beg to announce that they have opened a branch establishment for the sale of their instruments at 27 Regent Street, Wrexham and hope by fair prices and attention to business to merit the patronage of the people of Wrexham and neighbourhood.” Their manager was Mr. F. Irwin. On 29th June 1891, a bazaar was held at Gwersyllt Hall to raise money for a drill shed for the Gwersyllt Volunteers. One of the rooms of the Hall was devoted to music. Crane & Sons were clearly public-spirited because they kindly loaned the Hall a Kirkman upright grand piano, valued at seventy guineas, with the promise that if it were sold, a large commission would be given to the bazaar fund. The fine tones of the instrument were admired, as were the performances of those who kindly gave their services. In November 1891 Crane’s kindly granted the use of a splendid pianoforte gratuitously for a sale of work with entertainment at the Minera National Schools. The sale was in aid of the extinguishing the debt upon the St. David’s Mission Room. On Monday, 23rd November 1891, a concert was given in the Public Hall in aid of the funds of the Borough Brass Band. The piano was a fine Broadwood from Messrs Crane and Sons, Regent Street. The business premises at 4, Regent Street, were very conveniently situated, the bold signboard and gas lettering being prominent and striking. The workshops of the firm were in the rear of the main building, and an efficient staff of skilled employees were constantly engaged. The stock was very full and complete, and included pianos from all the leading English and foreign manufacturers; the Wrexham Illustrated described Crane’s second Wrexham shop as, “perhaps, the best showroom in Wrexham; most certainly the one in which the best taste is displayed.” Crane’s advertising slogans at that time were, “Pianos for the people at people’s prices” and “The best and cheapest house in Wales”. Instruments could be purchased “on the three years system with terms from two shillings and sixpence per week.” Full value was offered for old instruments offered in part exchange. The premises at 4 Regent Street had several private rooms for instruction and the business was managed with zeal and enterprise. Crane’s had a well-arranged tuning department, which was run by an experienced staff: the clientele in this respect extending to all parts of North Wales. 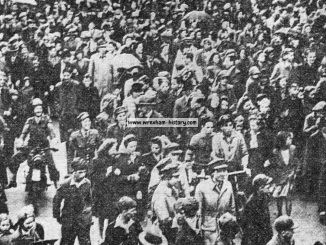 At the Liverpool Exhibition, they gained the highest award for excellence of exhibits, and they were awarded the gold medal and diploma of honour at the Isle of Man Exhibition of Art, Industry, and Commerce. Crane & Sons were well-known as organ builders and in 1892 they rebuilt the pipe organ for the new Baptist Chapel at Oswestry. 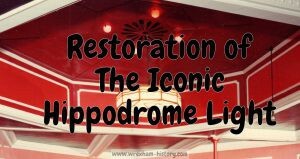 They had also rebuilt organs at Minera Parish Church and the Wesleyan Chapel at Brymbo. In 1892, Mr. C. Morton Bailey, F.C.O., the organist of St. Mark’s Church, Wrexham, engaged a private room at Messrs. Crane & Sons, Regent Street, where he gave lessons in various branches of music. On Wednesday, 5th October 1892, Richard Pritchard of Rhosllanerchrugog appeared before His Honor, Judge Sir Horatio Lloyd at Wrexham County Court. Pritchard was being sued by Messrs. Crane & Sons for £3 4s arrears of instalments due for the hire of an American organ. The case was proved by Mr. Irwen of Crane’s and his assistant, Mr. J. O. Jones. The defendant’s wife said her husband was drunk when he signed the hiring agreement. This fact was denied, but the judge explained that it would not have removed his liability anyway. Judgment was given for the plaintiffs. On Monday, 31st October 1892, an eisteddfod was held at the Penygelli Board School, Coedpoeth, by members of the Baptist Tabernacle. 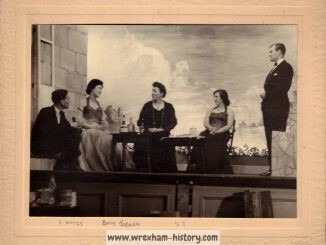 The piano they used was lent for the occasion by Messrs. Crane & Sons of Wrexham. On Saturday, 26th November 1892, a concert was held at the Central Hall, Buckley, in aid of the Daisy Hill Baptist Chapel. One of the accompanists was Mr. J. O. Jones, musical instructor for Messrs. Crane and Sons, Wrexham. On Monday, 2nd January 1893, a concert in aid of Wern Congregationalists was held at Wern Chapel, Minera. The piano was loaned by Messrs. Crane and Sons, Wrexham. 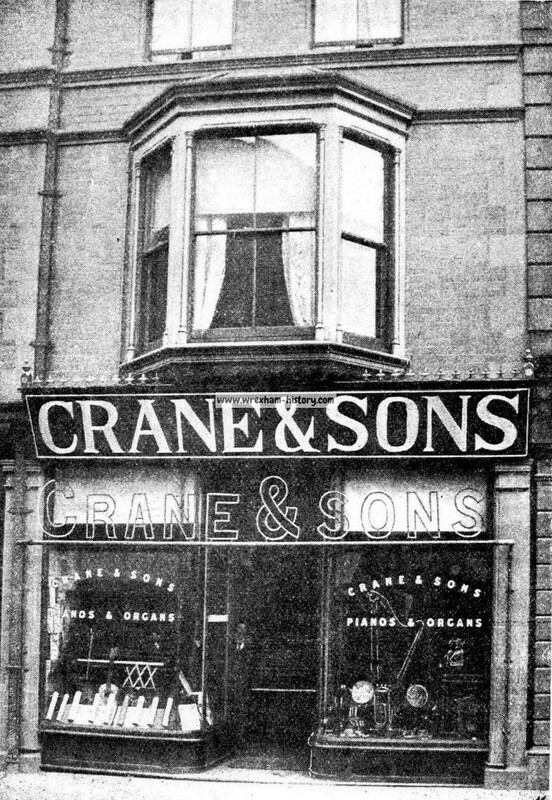 As well as selling musical instruments, Crane & Sons also gave music lessons. As previously mentioned, Mr. C. M. Bailey, F. C. O. (organist at St. Mark’s Church) taught piano, organ, theory and singing. Herr Veerman gave lessons on the violin; Miss Holford gave singing lessons and Miss Sara Hughes taught singing and piano. Carl Durrschnabel taught the zither. We know from newspaper adverts that in May 1893, Mr. F. Irwin was still the manager at 4 Regent Street, but by the end of August 1893, the manager was Robert Thornton Jones. 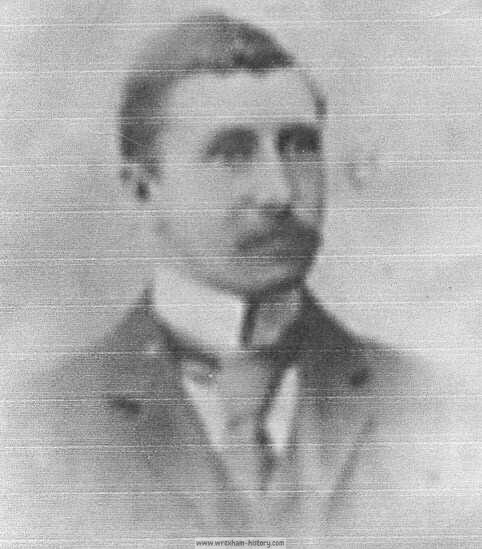 Robert Thornton Jones, the manager of Crane’s in Wrexham, was born in 1866. He was the oldest child of Henry Richmond Jones and his wife Elizabeth (nee Crane). The Crane family (Elizabeth’s family) were pawnbrokers and master pilots of Liverpool. 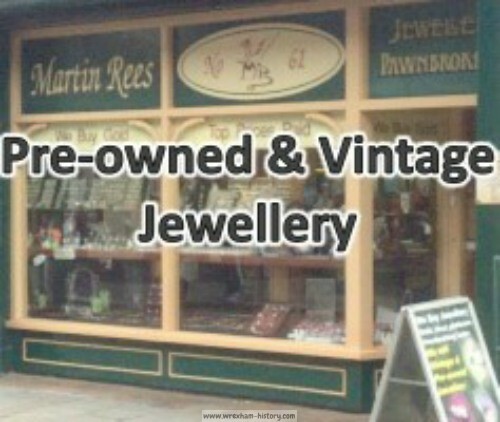 Some of the pawnbrokers moved into the musical instrument business around the middle of the 19th century. In 1892, Robert Thornton Jones married Agnes Rankin in Liverpool and they moved to Wrexham where their daughter Agnes was born in 1894. Their son Gilbert (Steven’s grandfather) was born in 1895. It is thought that they moved back to Liverpool in 1897 to be supported by their families, because in February 1898 Robert’s wife Agnes died there of a brain tumour. In 1899, 33-year-old Robert remarried and had three more children with his second wife. Sadly, Robert died of tubercular meningitis, aged only 40, in 1906, with his brother Thomas Russell Jones at his bedside. In December 1894, Crane & Sons announced that, despite being a spacious building, 4 Regent Street had proved to be inadequate for their requirements. 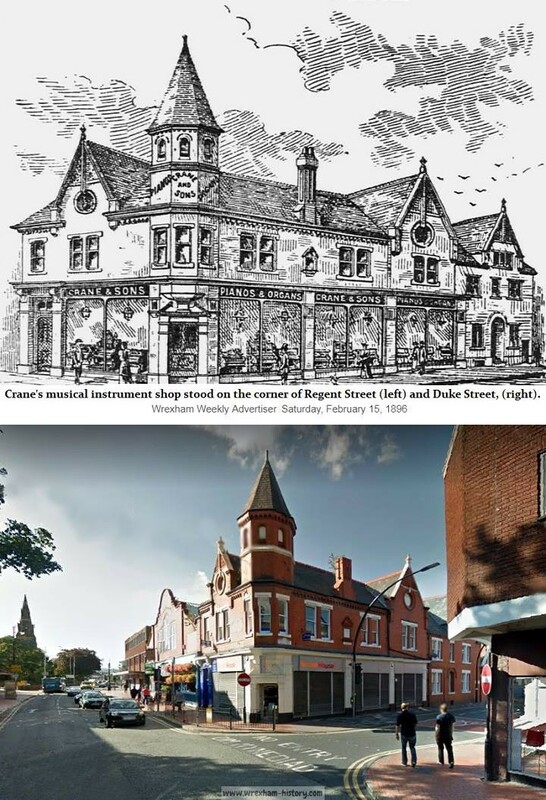 As they were unable to find suitable premises, they purchased some land at the corner of Duke Street and Regent Street on which they planned to erect what would prove to be one of the largest and best equipped music warehouses in the Provinces and certainly the largest in the Principality. The plans were prepared by Mr. A. C. Baugh of Argyle chambers and these were submitted to and passed by the Town Council. 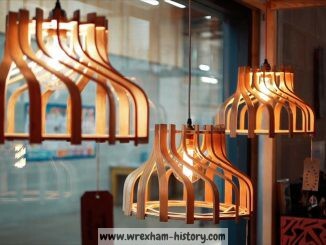 It was felt that the building would be quite an ornament to Wrexham. One prominent feature was to be a large tower at the corner. 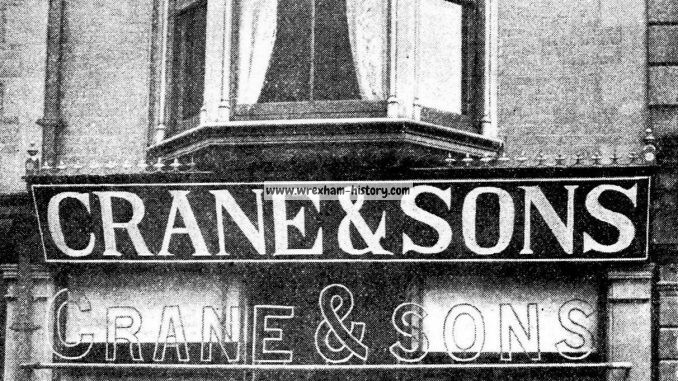 I don’t know the precise date when Crane & Sons moved into Crane’s Buildings, 40 Regent Street, but I do know that on February 8th, 1896 they were still at 4 Regent Street and on 13th June 1896 they were at Crane’s Buildings, 40 Regent Street. April 1897 is the last mention I can find of Robert Thornton-Jones as Manager and we now know that he and his family moved back to be near relatives in Liverpool as his wife was dying. The Llangollen Advertiser of 11th October 1918 announced the death of Mr. George Musgrove of Duke Street, who had been the manager of Messrs. Crane & Sons, Wrexham “for some little time past”. He was a keen Freemason and members of the Square and Compass Lodge attended his funeral. Moving on to more recent times, on Facebook, Mike Jones told me that his former next door neighbour in Aran Road worked for Crane’s and drove one of their black and yellow vans. SOURCES: Wrexham Jubilee 1907 (article originally in 1892 Wrexham Illustrated); Wrexham Weekly Advertiser (28th March 1891; 6th June 1891; 4th July 1891; 7th November 1891; 28th November 1891; 4th June 1892; 30th July 1892; 8th October 1892; 5th November 1892; 3rd December 1892; 13th May 1893; 17th March 1894; 30th June 1894; 22nd December 1894; 8th February 1896; 13th June 1896;); Cheshire Observer (3rd December 1892). Y Genedl Gymreig (29th August 1893). 1901 Trades Directory of Wales; The Montgomery County Times (24th April 1897); Llangollen Advertiser (11th October 1918); Mike Jones; Steven Thornton-Jones of Loughborough. A 1914 bus belonging to Wrexham and District Transport Co Ltd.